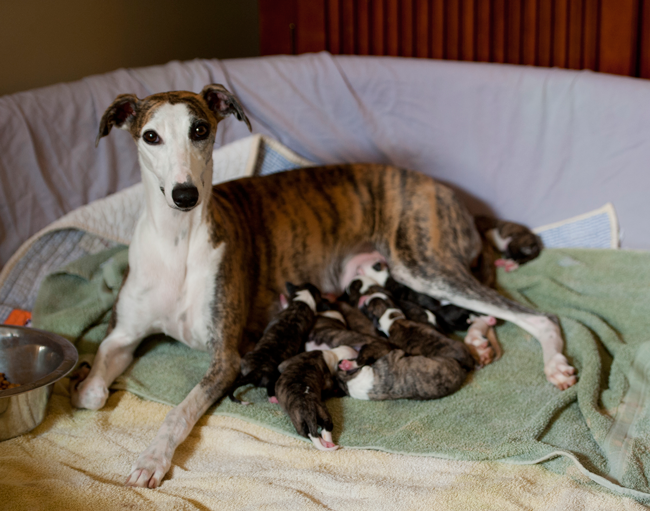 Chroma is from the Dottie X Patrick litter and I could not be more pleased with her. 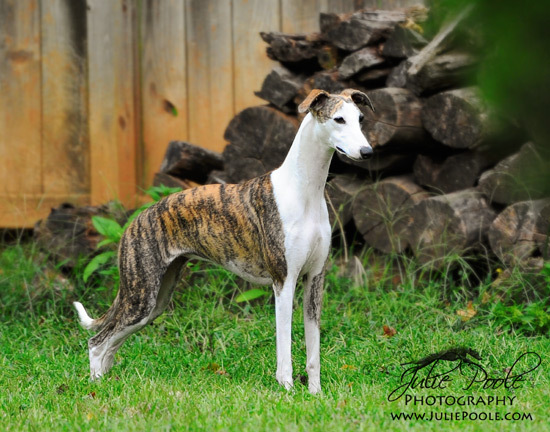 She moves beautifully, has lovely flowing lines and just a joy to live with. 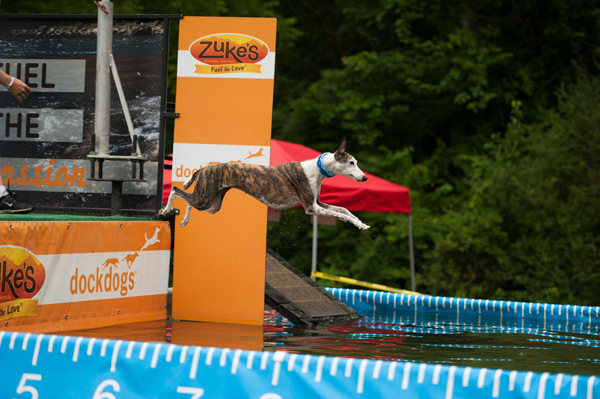 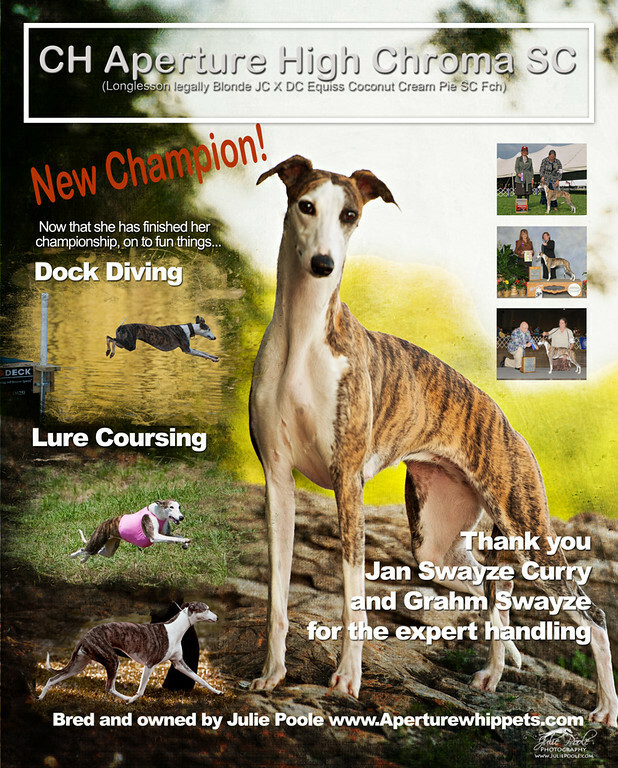 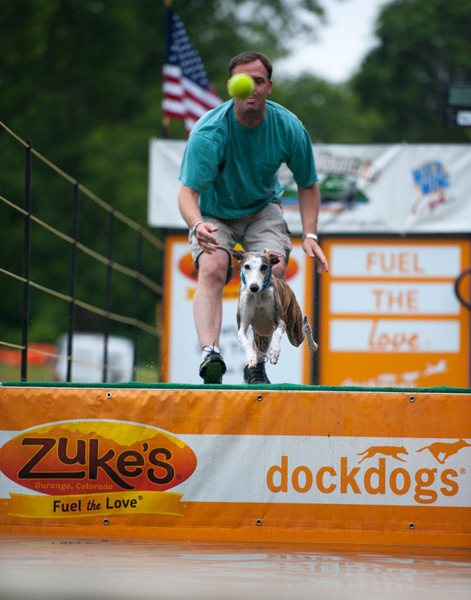 She is an AKC Dual Champion and is a talented dock diver. 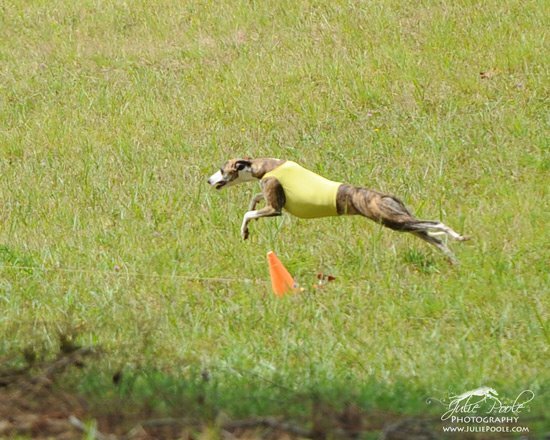 She will also be CWA racing in the future! 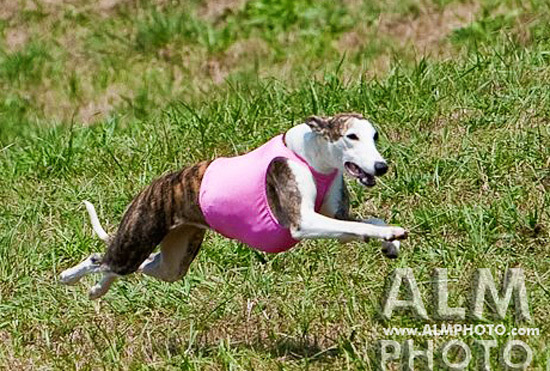 Chroma loves to play frisbee(and is very good at catching it) and is just an all around cool dog. 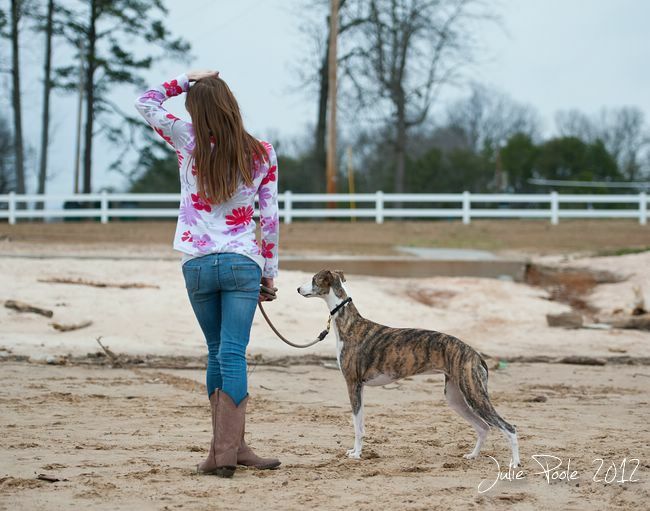 She pushes the top spot with Dot in my heart. 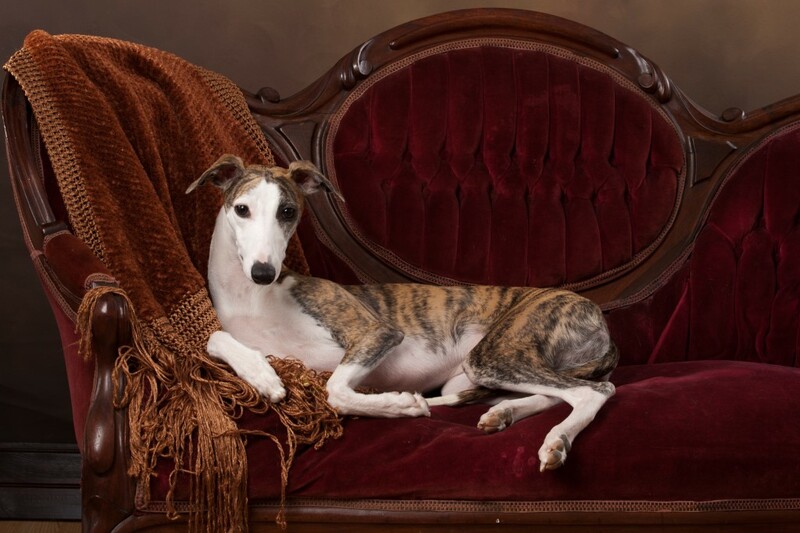 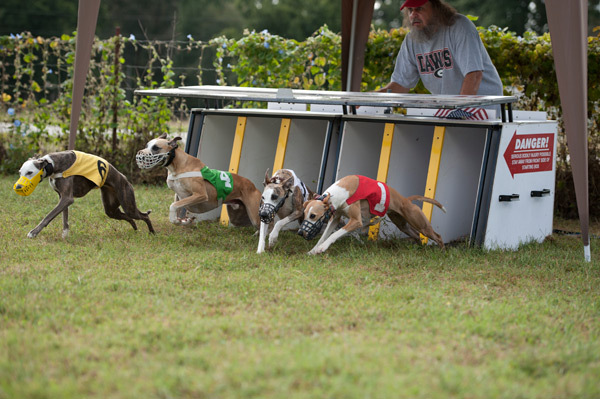 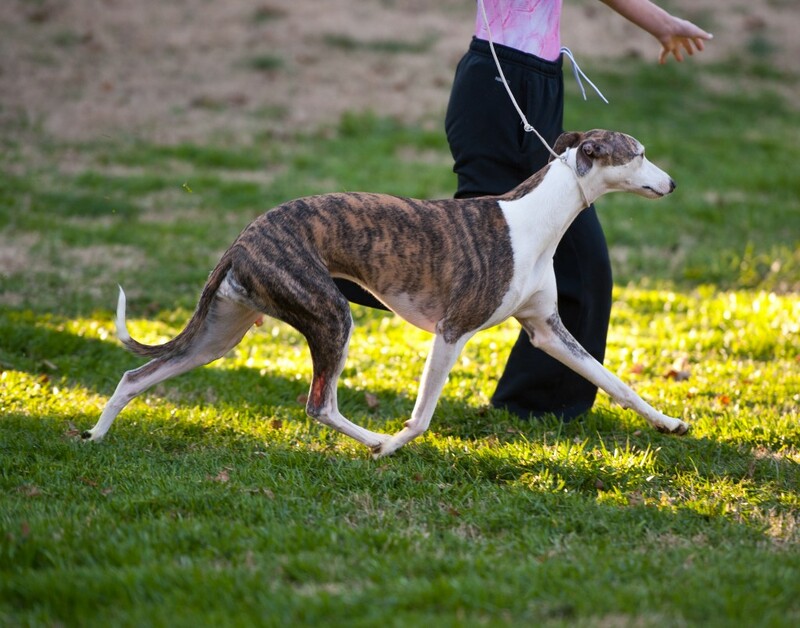 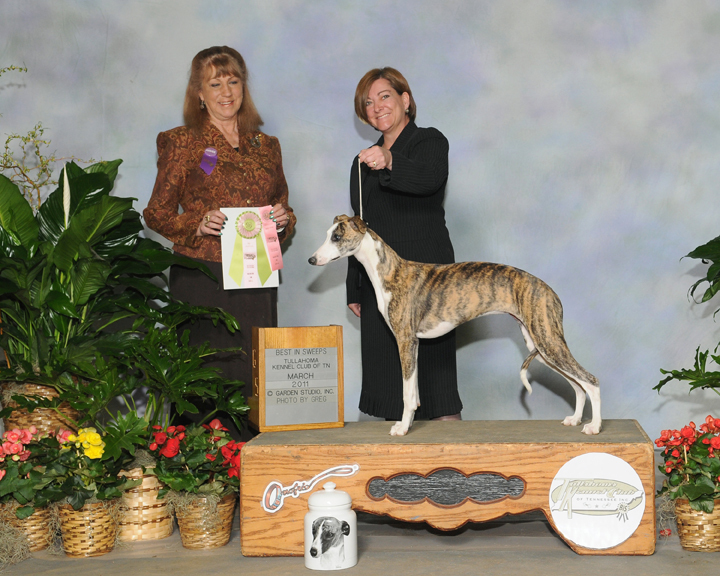 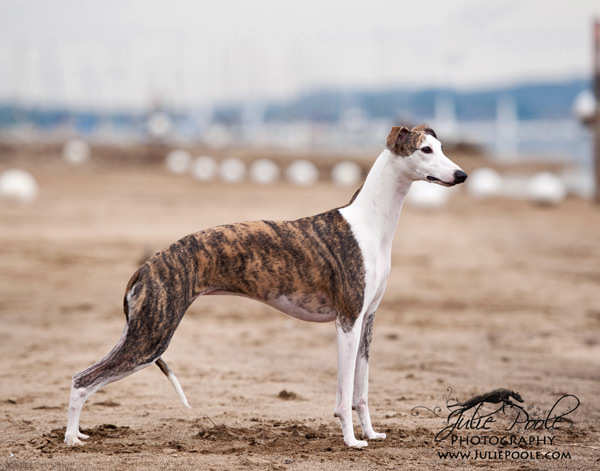 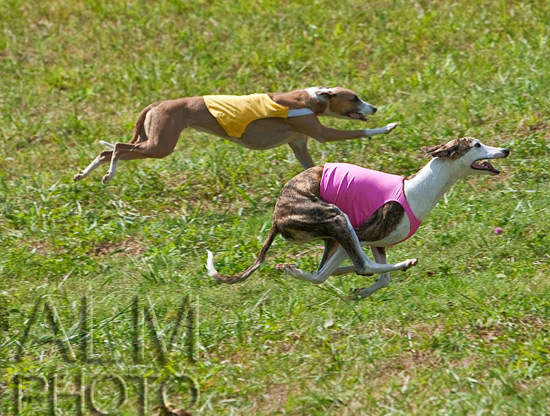 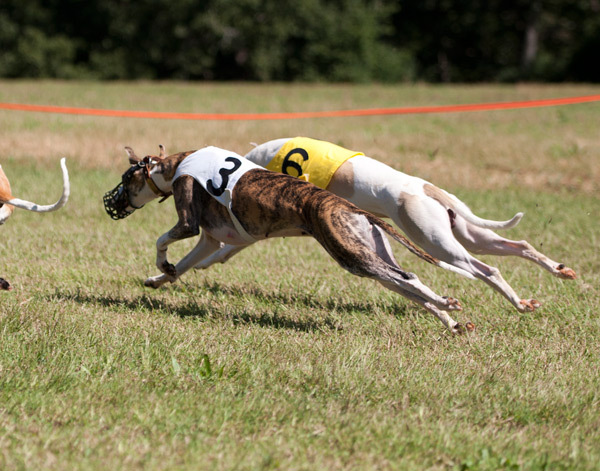 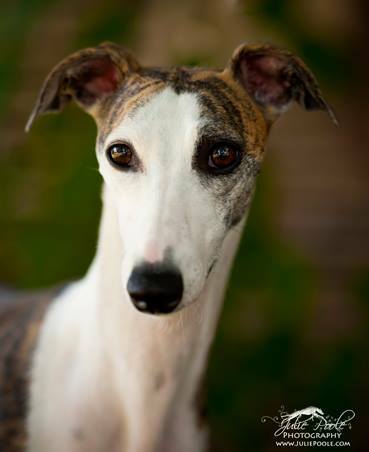 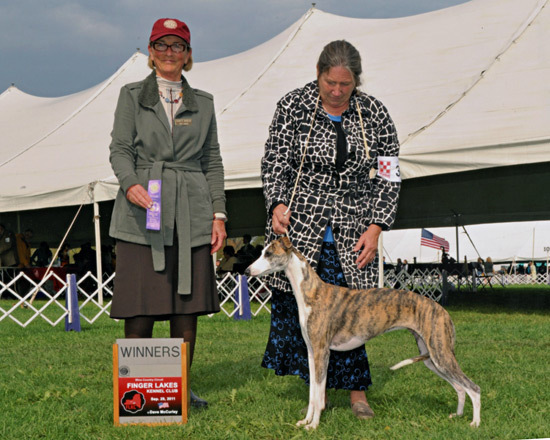 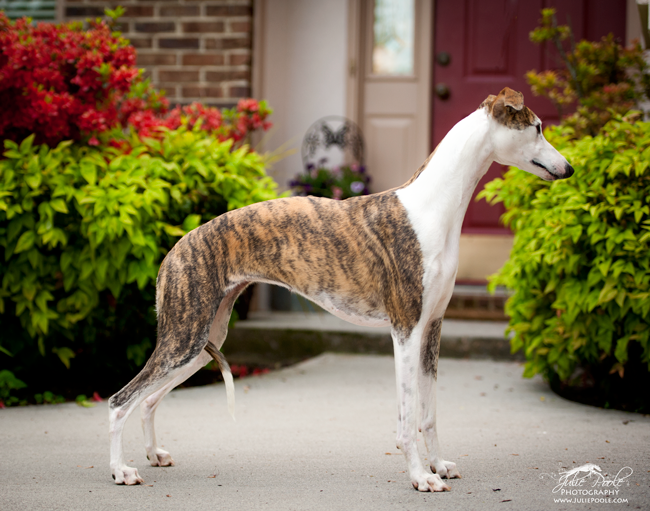 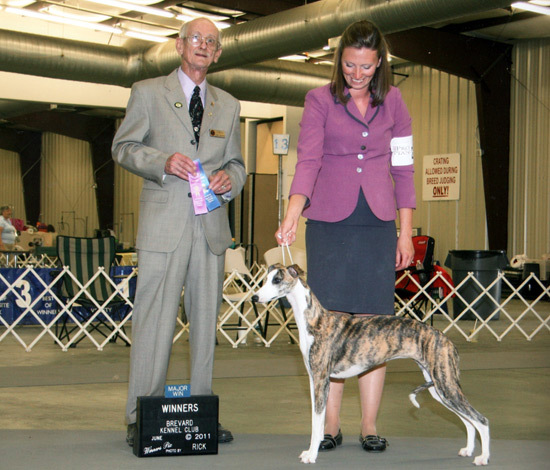 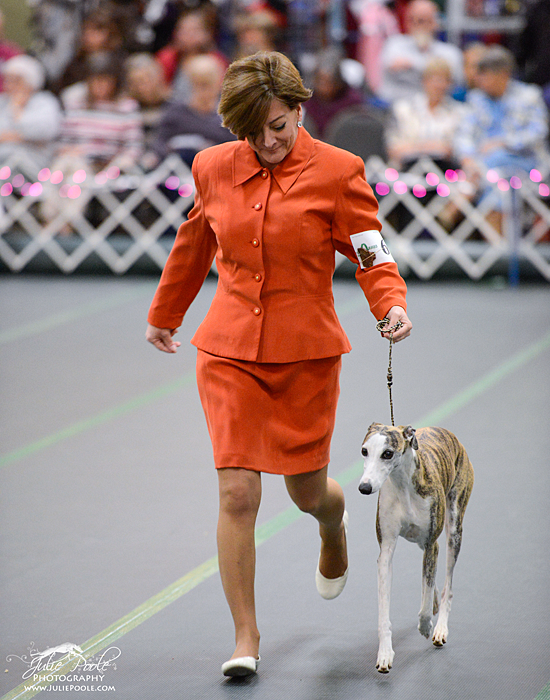 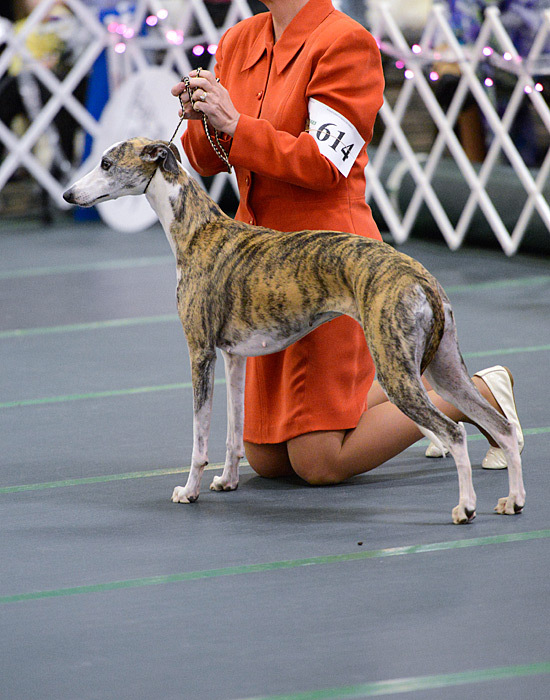 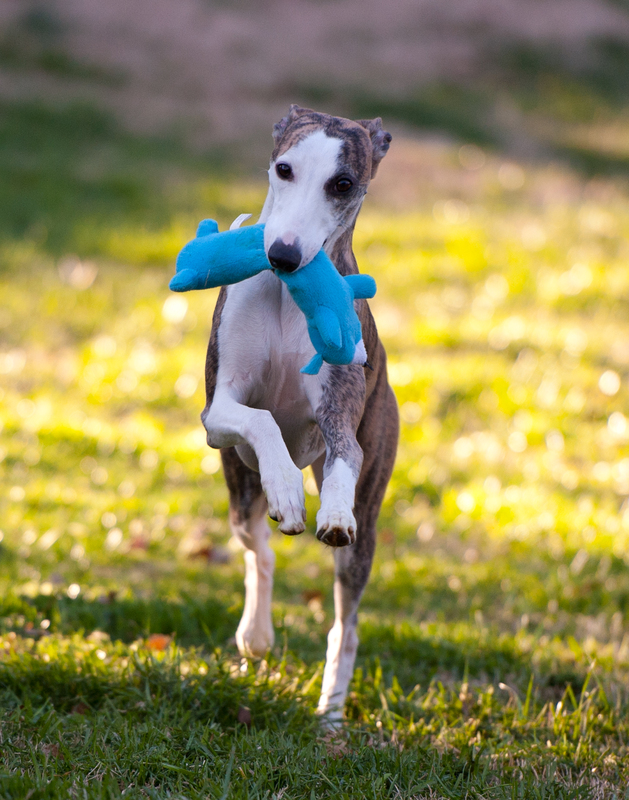 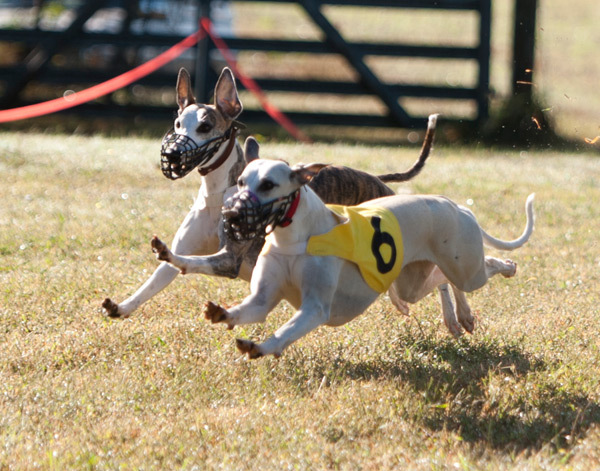 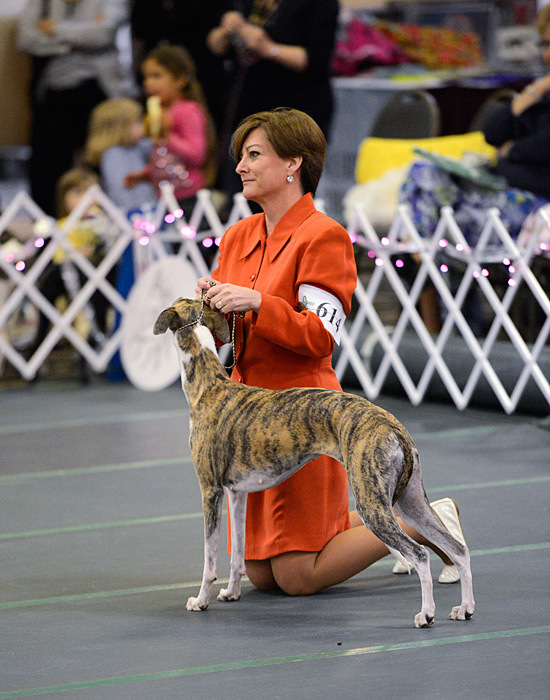 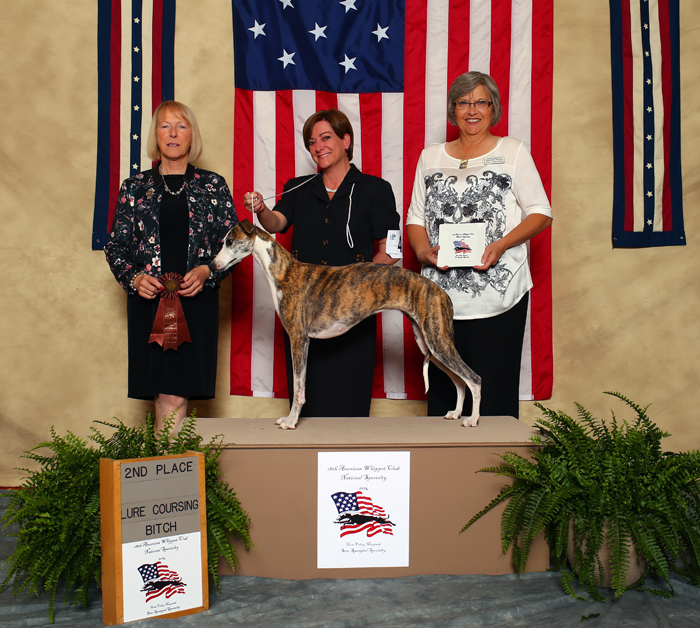 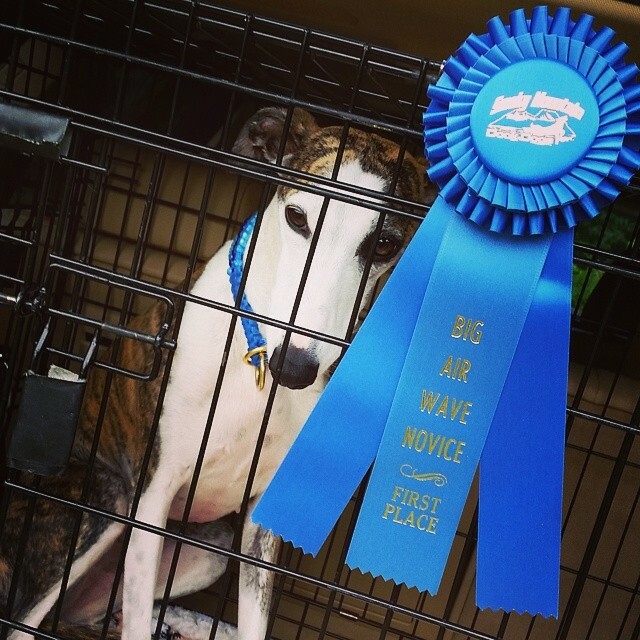 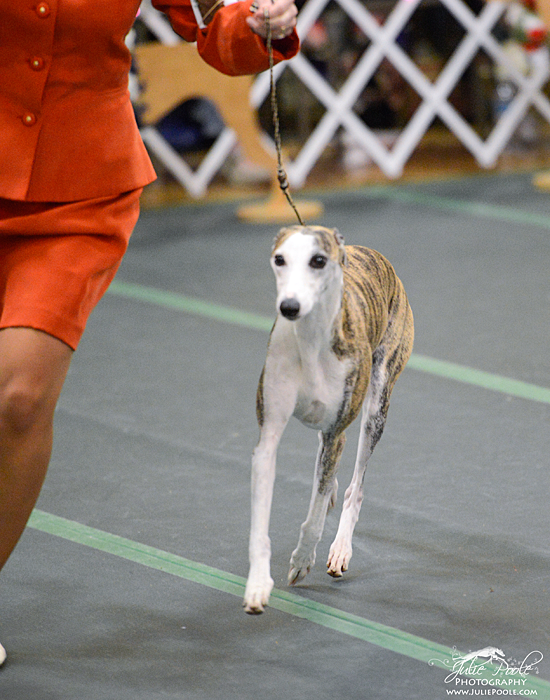 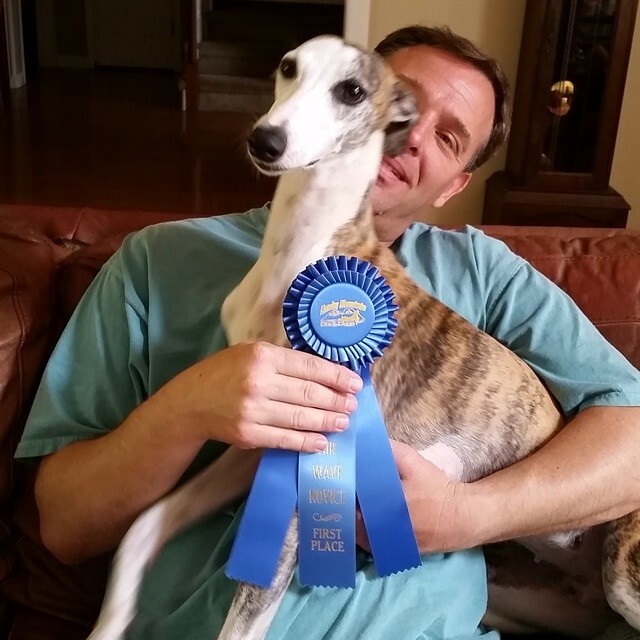 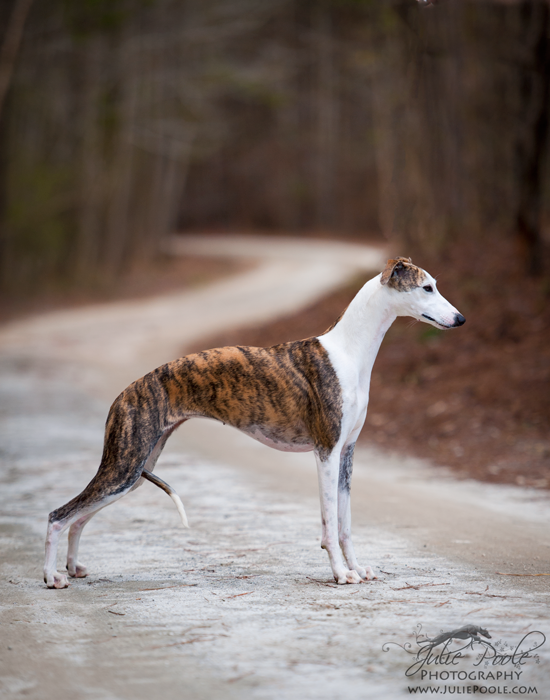 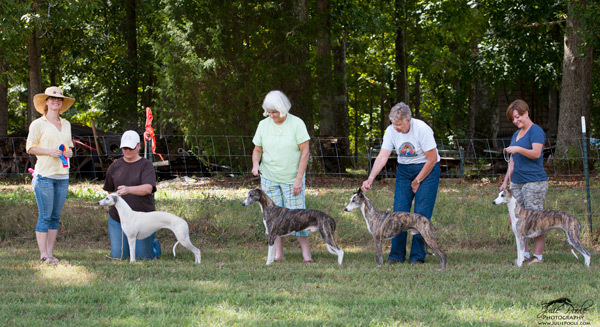 She is truly and all around whippet who does what she was bred to do well. 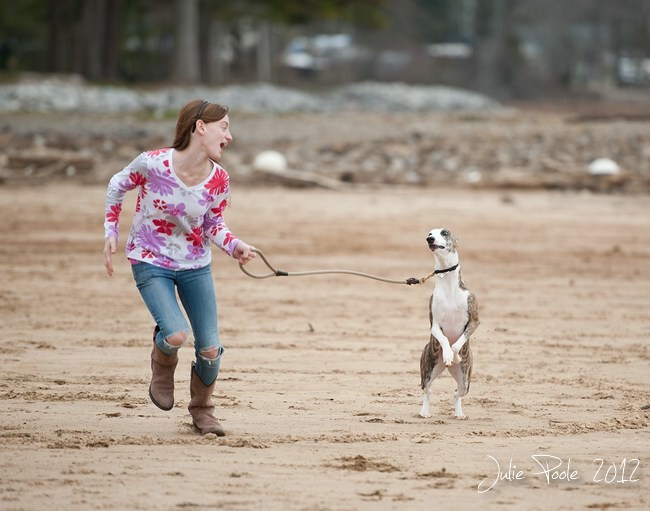 She embodies form and function in my eyes not to mention the other things that bring fun to our lives.